Given how long Reddit has been around, you would be forgiven for assuming that it had run out of personal records to set for itself. But as the internet has taught us over the past few years, never underestimate gamers, who banded together to get really angry at Electronic Arts, publishers of Star Wars Battlefront II. The controversy centers around how the game unlocks new playable characters for users. Battlefront’s multiplayer system revolves around a system of unlocks and semi-random “loot crates” that bestow bonuses among players. Save up enough rewards from playing online and you’ll earn enough in-game currency to spend on a playable classic Star Wars character. 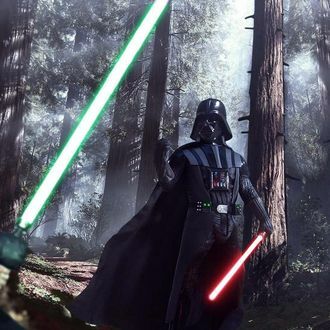 So, if you want to play as Luke Skywalker or Darth Vader — according to one Redditor’s numerology — you’ll need to play for roughly 40 hours. In a subsequent thread, another Redditor complained about how not even the deluxe version of the game included the famous characters. “Seriously? I paid 80$ to have Vader locked?” they asked. EA responded, with what is now the most-hated comment in Reddit history, a score determined by calculating the difference between downvotes and upvotes a submission receives. As of now, it has a score of -294,000. “The intent is to provide players with a sense of pride and accomplishment for unlocking different heroes,” a representative wrote. Comment from discussion EACommunityTeam's comment from discussion "Seriously? I paid 80$ to have Vader locked?". The intense backlash is even more apparent when you look at a collection of what are, historically, Reddit’s most-disliked comments. Occupying the top (bottom?) slot prior to EA’s response was a comment simply asking for downvotes. It managed to amass a score of -24,100, less than ten times what EA’s response managed to garner . Congratulations, I guess, to EA, which has set the new benchmark for Reddit hatred in monumental fashion.